Your feet have a direct impact on the rest of your body. Like foundations of a house, your feet support and balance your whole body, during all kinds of activities and postures. Even small problems in your feet can cause a subtle change in the way you walk, creating a chain reaction that can lead to problems in other areas. Hip or back pain – even neck and jaw pain. 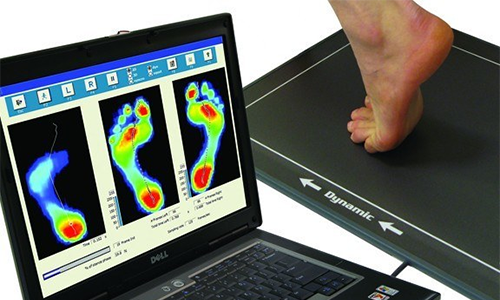 Our cutting edge Gaitscan assessment system allows us to analyse your foot mechanics by measuring the timing sequences, mapping foot pressure and providing an in-depth visual report that you can take home. Using Gaitscan our physiotherapist can then determine whether faulty foot function is contributing to your problem, and whether custom orthotics will benefit you. If so the data is sent securely to the Gaitscan lab where it is analysed and custom orthotics are manufactured specifically to fit your feet. 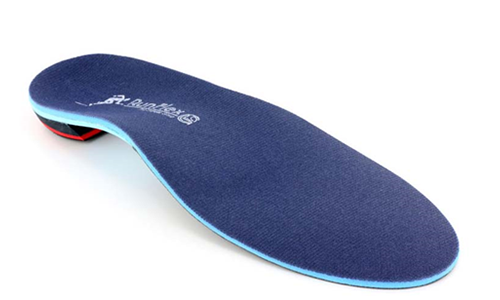 The orthotics are custom made from unique memory flex plastics to meet your individual foot care needs. Prescription custom made orthotics help regain optimal foot mechanics, reducing pain and discomfort by restoring and enhancing your body’s natural movements.